Non-Proprietary Name: Pain Relief What is the Non-Proprietary Name? Ultra Vedic with NDC 72625-135 is a a human over the counter drug product labeled by Pharmaneek, Inc.. 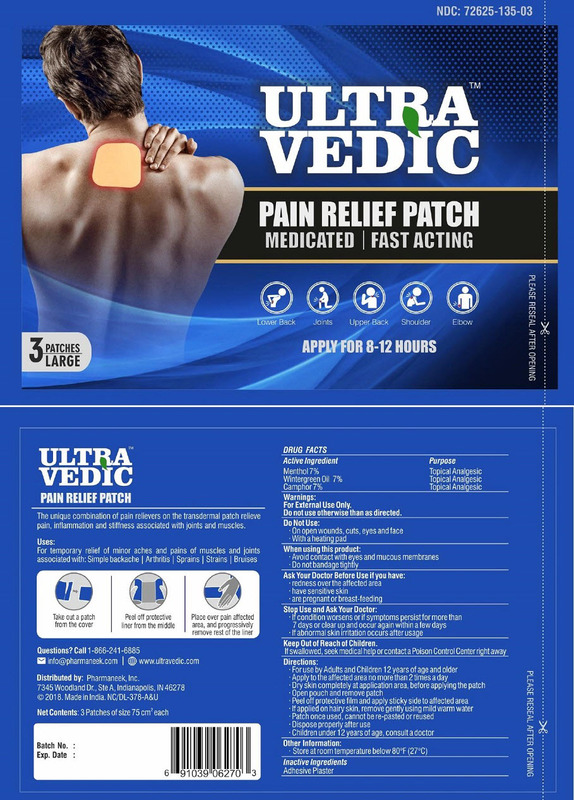 The generic name of Ultra Vedic is pain relief. The product's dosage form is patch and is administered via topical form. For temporary relief of minor aches and pains of muscles and joints associated with: Simple backache | Arthritis | Sprains | Strains | Bruises. For External Use Only Do not use otherwise than as directed.